A Tweet a Day . . . Doctors and Social Media - SmackSmog! 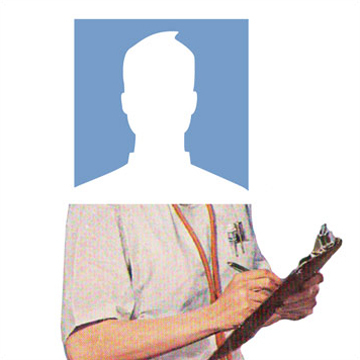 John Trader blogged last week, offering a survey of the health care industry and its use of social media. It was quite comprehensive in scope, but we just want to focus on one aspect of his piece: doctors and social media. If it’s one thing we all recognize, physicians don’t have a great deal of free time during the work day. From a GP’s rigorous schedule of keeping appointments as the first line of health care; to a surgical MD maintaining consultations, surgeries, rounds, and meetings, few doctors have time to grab the lunch the pharm reps bring in (who clamor for what little meal time doctors are left with). We have no delusions that healthcare professionals have a great deal of time to respond to questions on Facebook, monitor the changes/research in their disciplines and share that, or tweet back and forth with their patient base. If there is still a great deal of connection between MD’s and their patients, how can a small private practice or hospital offer this relationship online? There is already a great deal of change going on in health care, for example. Federal changes in health care with the onset of Accountable Care Organizations and increase in Managed Health Organizations bring about the shift away from fee based care to preventive care. How your health care institution is organized is already going to shift, which means that your culture may (will?) change as well. How you communicate with others will be part of this. As has been already noted, physicians are already strapped for time. Are MD’s really going to whip out their smartphone and catch up with questions about diabetes walking down the hall to their next appointment? Not quite. But if your patients are to trust you more with their questions, how can you increase your reach of care by adopting social media use into your practice? The exciting thing -at least for me- is that it seems to bring back health care’s characteristic of the “house call” relationship that existed some time ago. As doctors, you know have another way of connecting with your patients on their own grounds. People are searching for answers online, researching other peoples experiences with the disease they share, and sharing both this information and their thoughts/feelings about the clinical industry. What a rich environment with which to understand better the doctor/patient relationship, and enhance trust and care! As physicians, it is also important to know your patient, and their perspective. This piece from Tara Parker-Pope in the New York Times offers some insight into what patients find important in their health care providers.
. . . [D]octors often were judged on issues such as attentiveness and demeanor, rather than training and experience. And here the circle in our conversation about doctors and social media closes: patients increasingly are coming to you informed about you, their illness, and possible treatments. The numbers reveal that more and more people are using online resources and social media to take of themselves.